Paw Patrol Ryder's Pup Pad Just $8.99! Down From $14.99! You are here: Home / Great Deals / Amazon Deals / Paw Patrol Ryder’s Pup Pad Just $8.99! Down From $14.99! Paw Patrol Ryder’s Pup Pad Just $8.99! Down From $14.99! 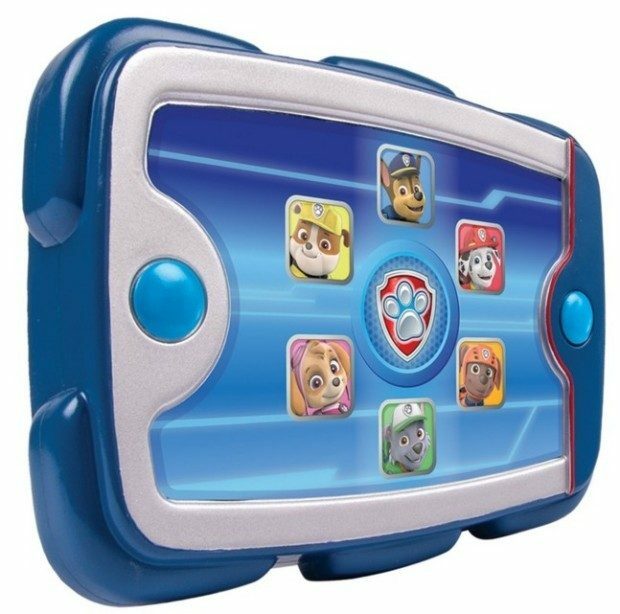 Right now you can get this Paw Patrol Ryder’s Pup Pad for just $8.99 down from $14.99! Now you can lead the Paw Patrol just like Ryder! With Ryder’s Pup Pad, Paw Patrol missions are only a touch away! Ryder’s Pup Pad features over 15 phrases straight from the hit TV show! Just press a button to hear a phrase! Choose from Chase, Marshall, Skye, Rocky, Zuma and Rubble! Each character has unique sounds. Ryder’s Pup Pad is made for Paw Patrol fans 3+ and required 2 AAA batteries for operation (not included).